Hey guys, fancy seeing you again! I hope all your Thanksgiving cooking preparations are coming together smoothly, and I hope I was able to give you a few last minute ideas if you needed inspiration. Running With Mascara asked me if I was interested in guest blogging for them. In exchange, they created a guest post for my blog! 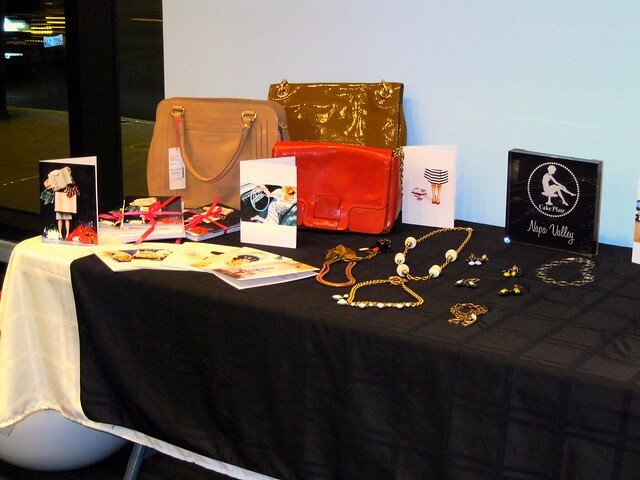 Our topic of interest is how to indulge without breaking the bank during the holidays. You can check out my article on their blog. For now, sit back, relax, and enjoy the post. The last thing you want your ‘back in town’ friends to remember from the Christmas or New Year’s party is you falling face-first into the bar floor after one too many. Letting loose is natural around the holidays; most people have a few days (or a week, if you’re lucky!) off of work and it’s natural to want to unwind and enjoy yourself. Avoid weight gain and general embarrassment by switching off between your alcoholic drink of choice and a glass of water or sparkling water. That will also help you avoid that soul-crushing hangover the next morning. Stick with Amstel Light or vodka with soda water to curb your carb intake. Go ahead and get down to some music by Ke$ha while sipping- we won’t judge! ;) That will also help burn off some of the calories you’ve been imbibing. Most people enjoy a coffee treat now and then, whether it comes in the form of a hot chocolate, vanilla latte, smoothie or thick shake. The only thing we don't like is when we end up eating our weight in calories that we don't need to be consuming. There are plenty of guiltless beverages you can buy at the mall while doing your holiday shopping, so seek out smaller sizes that you can add soy milk to instead of getting the standard 10 pumps of sugar and heavy cream put into your travel mug! I would never say it’s okay to eat two chocolate bars a day, but a bit of dark chocolate is actually good for you - in moderation, of course! Chocolate contains the same antioxidants found in bananas, strawberries and spinach. 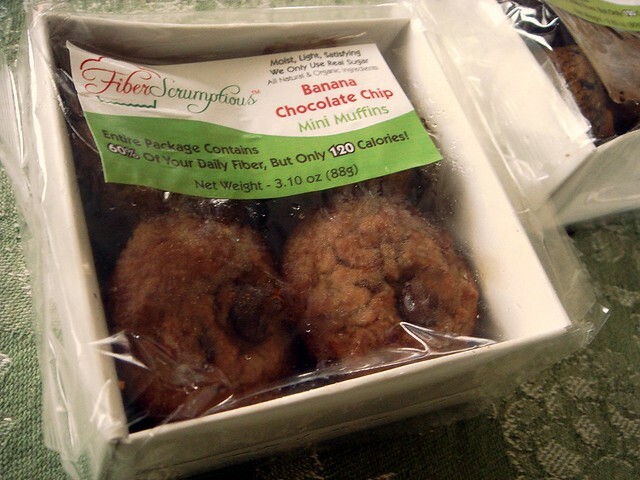 Try this recipe for Whole Wheat Peanut Butter Chocolate Chip Cookies! No, not ‘pre-drink’. Save that for the college freshmen. ‘Pre-veg’ by enjoying some veggies with hummus and whole wheat pitas before you hit the holiday party circuit. This will keep your paws off the chicken wings, spinach artichoke dip and other super-appealing-but-oh-so-fattening appetizers. I’ve found that the best way to enjoy some veggies with the same flavor of Buffalo wings is to dip carrots and celery into low-fat blue cheese dressing (just a little!) with a touch of hot sauce. Check out the ways you can flavor boost and calorie reduce here! Enjoying the holidays is key. It’s important to unwind and relax before you head back to work after the November and December holiday celebrations. Follow these simple tips so that you will still be able to enjoy yourself in a smart way. Planning on spring vacation? Sign up at the gym or find a great new workout DVD NOW. Waiting until after the New Year never did anyone any favors! Get into the habit during the season so that you aren’t forced to work through a half-hearted resolution come January 1st. Believe me, I know! Happy Thanksgiving Eve! You probably have your menu all set and ready to go, but if you're still undecided about certain dishes, you forgot an ingredient for your special recipe and can't make it to the store, or you want to add a new dish or dessert, here is a selection of previously blogged recipes for you to contemplate. Masoor dal is one of my favorite comfort dishes. It doesn't contain a pint of cream, nor is it loaded with a stick of butter, as my variation uses significantly less oil than the original recipe. 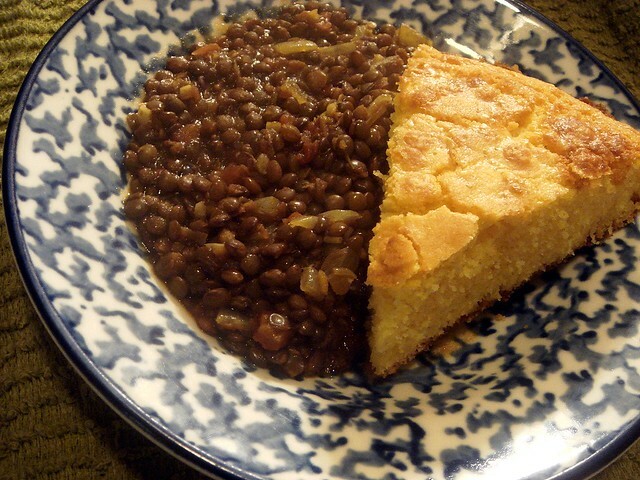 What makes it a good comfort food is the rich flavor from the spices and the heartiness from the lentils. 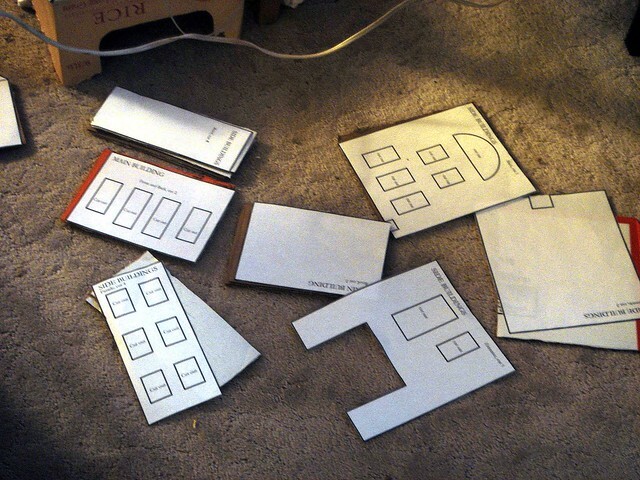 It's easy to put together and doesn't weigh heavily in the stomach. 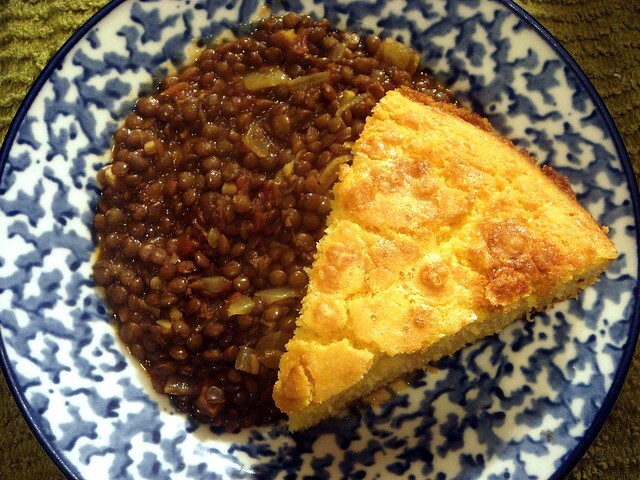 I like to serve it with rice, but today I served it with cornbread. You could even serve it with pasta because it's pretty versatile. Garam masala, a traditional Indian spice mix, is what you're supposed to use, though I subbed Chinese 5-spice because that's what I have in the spice cabinet. There are a few similar spices used, but overall it's different. It's still imparts a spicy, smoky flavor, which is the important part. I did have ground coriander, an ingredient in garam masala, so I added some of that along with turmeric for color, like the recipe says to do. The spices work to flavor the dish in two ways. First, half the spices are added to the lentils as they cook. 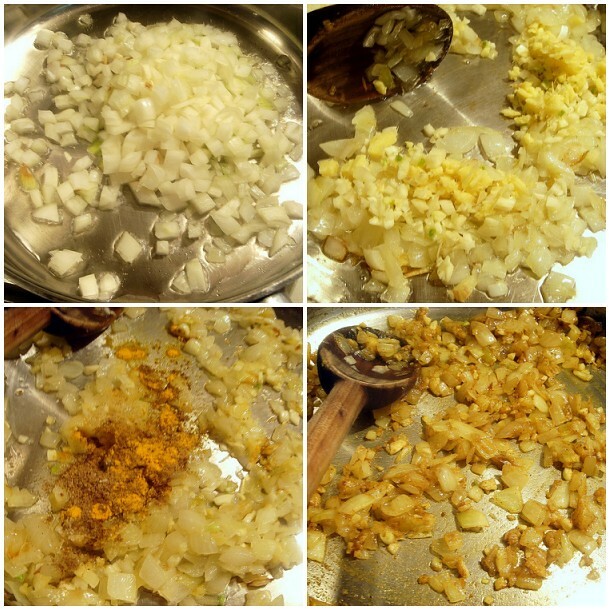 The remaining spices are sauteed with onions. These spices are fat soluble, meaning the flavor is released the most when they come in contact with fat. 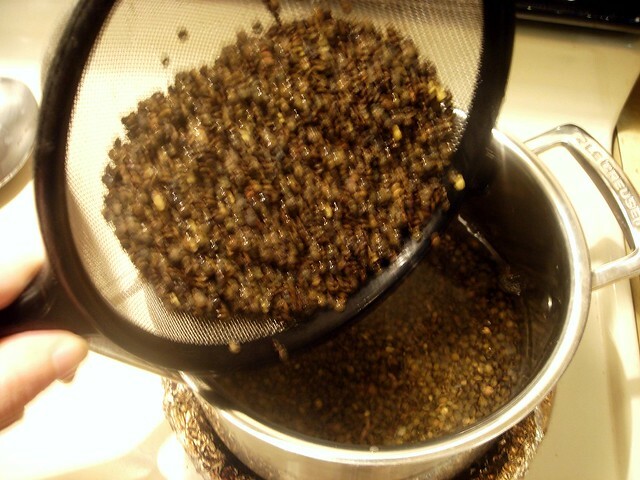 To begin, rinse 2 cups of black lentils. Add to boiling water and simmer until halfway cooked. The spices and salt are then added and the lentils continue to cook until soft. You're looking for a texture similar to thick cream, as the recipe states. This doesn't mean you want to cook the lentils to a mush. The lentils need to be combined with just enough water to maintain a loose texture without being too soupy. 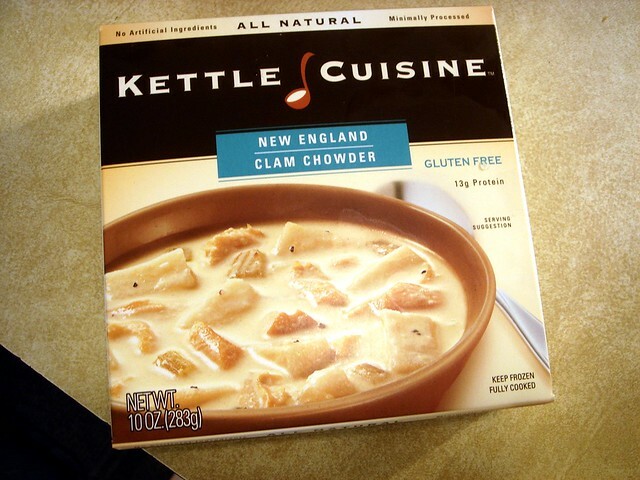 Additional hot water is added throughout the cooking period if needed to maintain consistency. This was my first time making masoor dal with black lentils instead of green lentils. I liked it because the black lentils hold their shape better and have a heartier texture. It works with any type of lentil that retains their shape when cooked, so there's no need to buy a specific type. 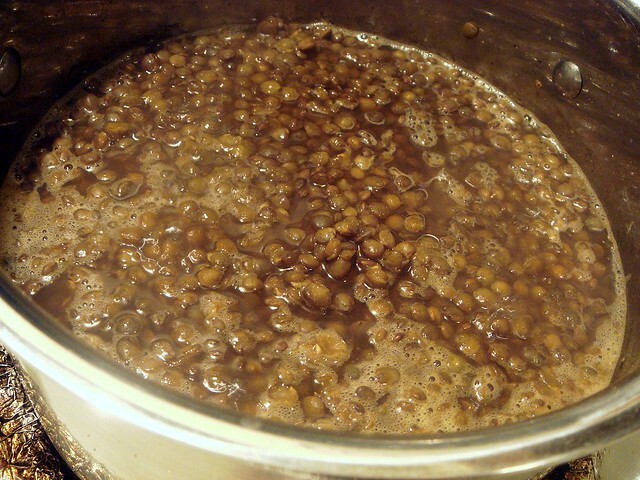 If your lentils are cooked and there is still too much water, as pictured above, simmer gently, uncovered, to let the excess water evaporate. 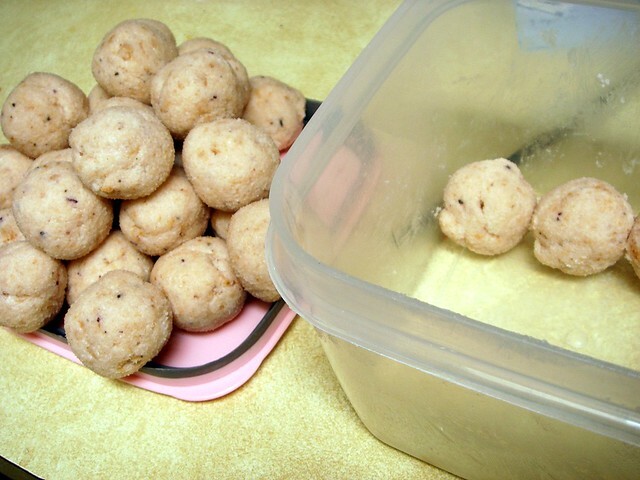 The additional ingredients are onions, garlic, ginger, and pureed tomatoes. You're supposed to use jalapenos and cilantro, but I didn't have any. Luckily, the canned, diced tomatoes I used were Mexican-style and contained green chiles, so I got some heat that way. Make sure you puree the tomatoes because it contributes to the texture of the sauce, whereas leaving them diced would make it chunkier and less saucy. Saute the onions in two tablespoons of olive oil over medium heat. Saute until tender and translucent, taking care not to let them brown. The garlic, ginger, and chiles, if you have them. Right now, it's smelling pretty great. Continue to saute the mixture until onions are deep yellow. Now, the rest of the spices and salt are mixed in and fried until the spices "stick". When the spices soak up the moisture are sticking to the skillet, the pureed tomatoes and cilantro are poured in to release the spice fond. I cook this mixture for 3-5 minutes to heat the tomatoes and reduce them slightly. 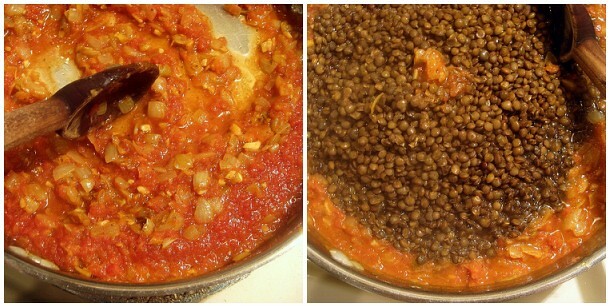 Add the cooked lentils and stir to combine with the sauce. Taste and adjust the seasonings if necessary. That's all it takes to get of Indian lentils for dinner. This meal is full of protein, and the flavors taste even better the next day. I often eat a bowl of lentils for breakfast because it's so good. 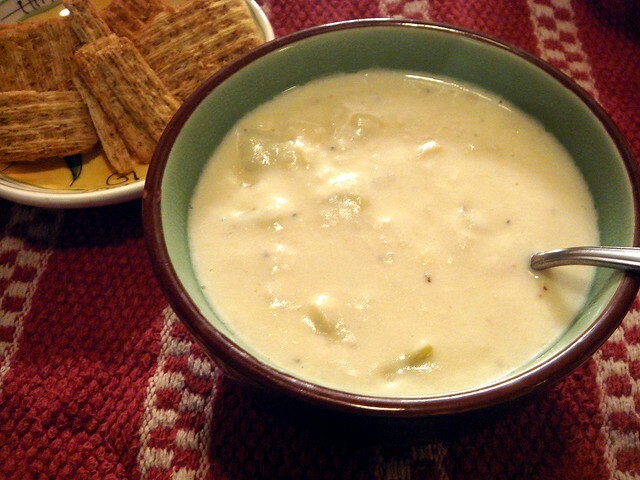 I'll be making this recipe often throughout wintertime. In a 3 quart pot, bring 4 cups water to a boil. Rinse lentils thoroughly. Add them to boiling water. Stir, and reduce heat to maintain a continuous simmer. Cook the lentils for 15 minutes. 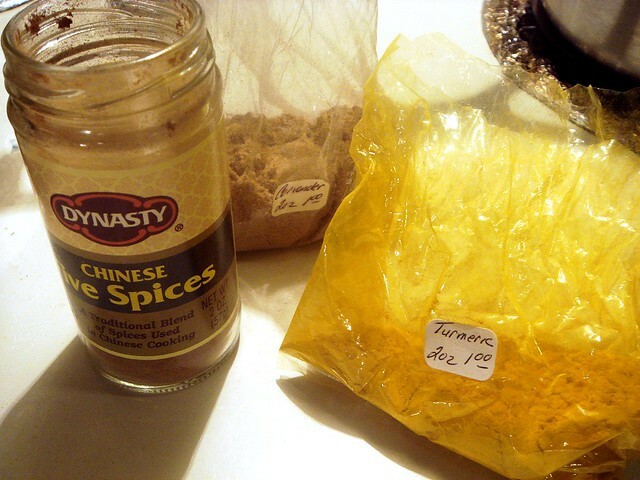 Add 1/2 teaspoon garam masala or Chinese 5 spice, 1/2 coriander, 1/2 teaspoon turmeric, and 1 teaspoon salt. 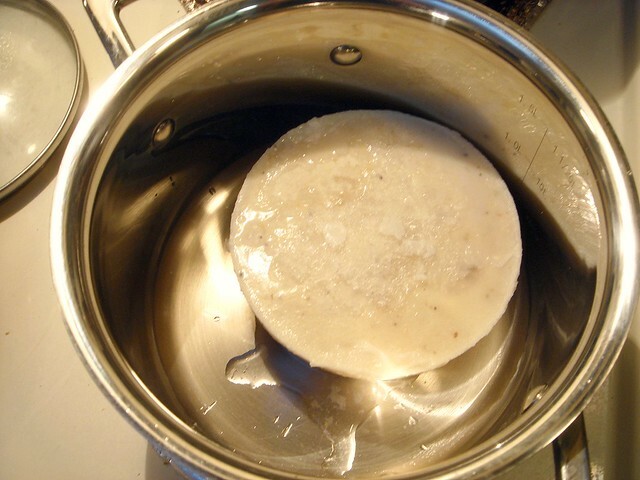 As lentils cook, uncovered, water will evaporate and mixture will thicken. 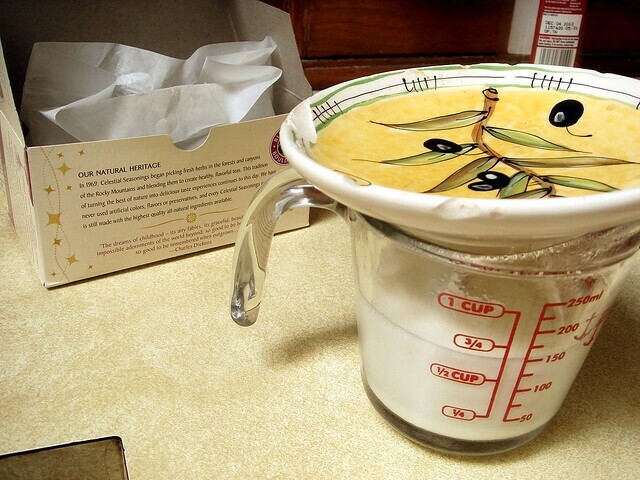 Add more water to keep dal loose, like texture of thick cream. When dal is soft (an additional 10-15 minutes), turn off heat. Heat oil in a large skillet over medium heat. When oil is very hot, add onions and cook until tender and translucent but not browned. Add garlic, ginger and chiles. Continue to fry until onions are deep-yellow. Add remaining spices and salt. Do not allow spices to burn. Keep stirring until mixtures starts to stick to skillet. Add tomatoes and cilantro. 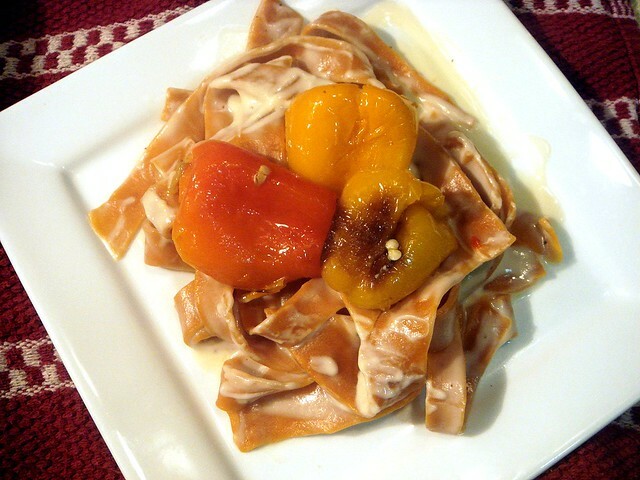 Cook until tomato softens and thickens slightly, about 3-5 minutes. Pour in pot of lentils and simmer to blend flavors. Taste and add more salt if needed. My pasta-plating skills need work. 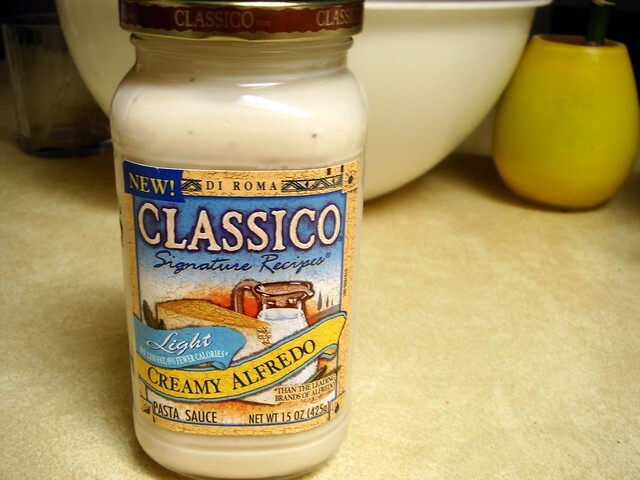 Foodbuzz Tastemaker sent me a jar of Classico Light Alfredo Sauce to review. I typically stay away from light products, but the ingredient list here looked decent and contained just a few thickeners. Alfredo sauce is exceptionally heavy, so perhaps a light version would be a good thing. To accompany my review is a batch of homemade pasta, which I had been meaning to try make for a while. What stopped me was the process of rolling it out by hand. But it tastes so good, and I was prepared to do whatever it took. I knew I wanted to make a flavored pasta. Tomato seemed easy enough, especially after finding a tomato paste-based pasta recipe. 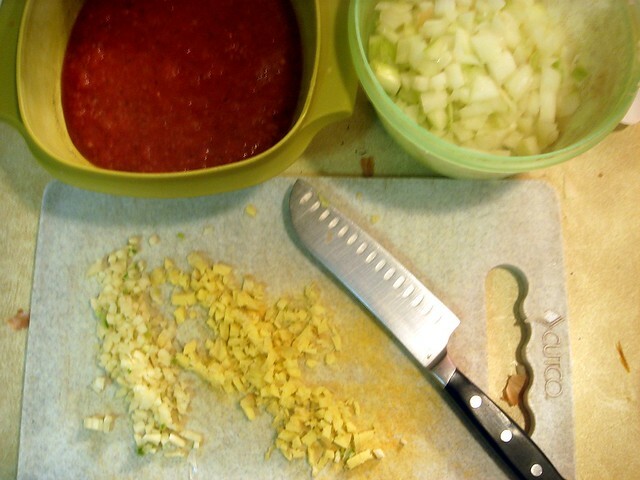 The tomato paste greatly enhanced the flavor and was simple to prepare. In a small saucepan, I heated half a can of tomato paste with olive oil until warm. The recipe says to add olive oil, though it isn't amongst the ingredients. I used about a tablespoon. 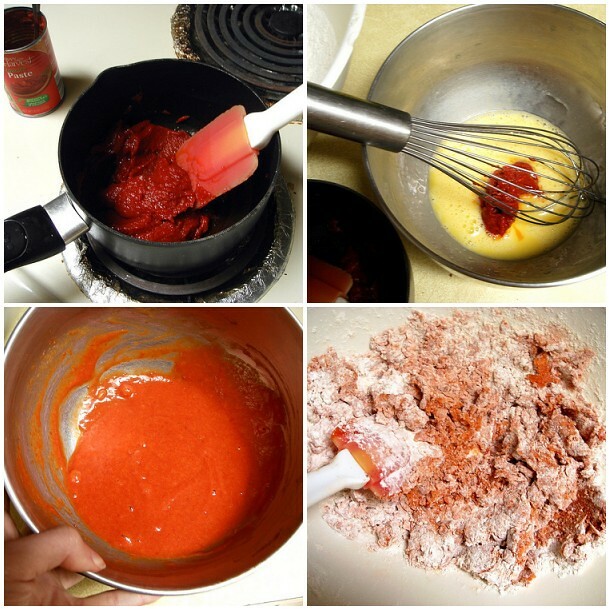 The warm tomato paste is whisked into beaten eggs, then poured into the flour. After a ten minute knead (which made my palms itchy), the dough is covered and rested for an hour to help relax the glutens and hydrate the dough. It also supposedly makes it easier to roll out. 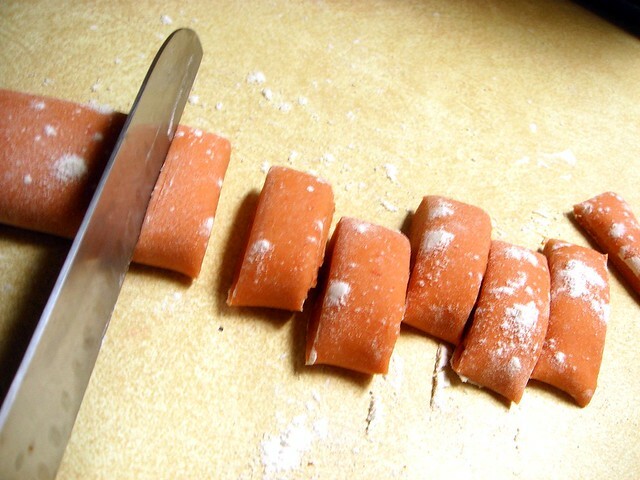 I don't have a pasta machine, but I do have a nice rolling pin. It's long and has tapered edges and makes rolling out wide doughs easier than using a rolling pin with handles. I would suggest picking one up (or adding it to your Christmas list...). 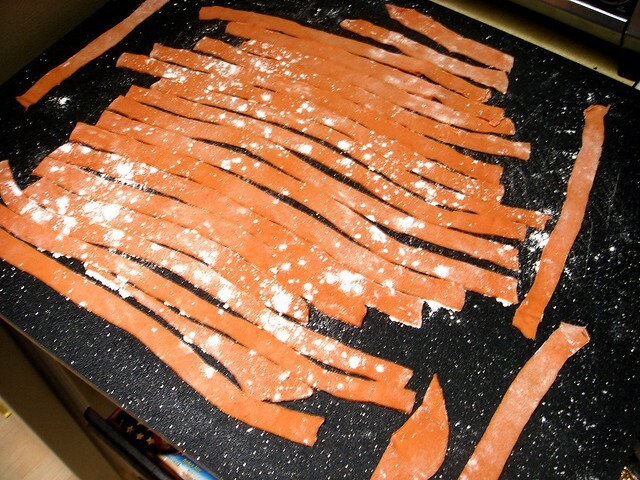 My method for rolling out pasta dough is to flour the underside and top of the dough. 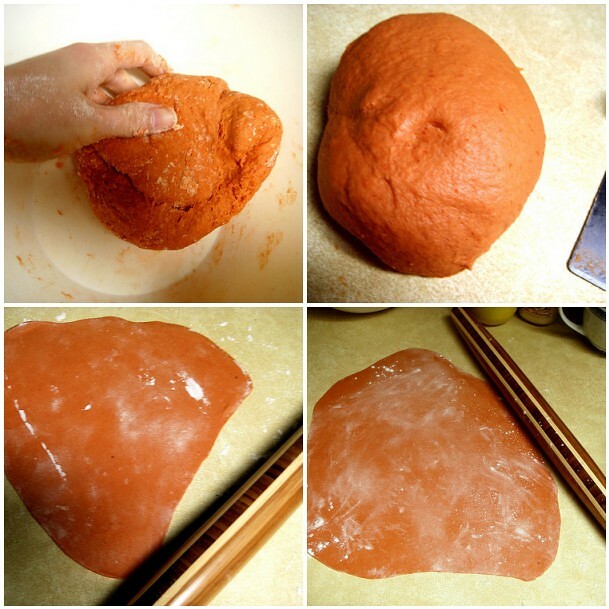 Roll it out, then lift the sheet and dust with flour if needed. I repeat this five times and let it rest, covered, for ten minutes to relax the dough. Once it's rested, I roll it out again 5 times. Sometimes I flop the sheet over. Once it's fairly thin, about 1/4 of an inch, I dust with flour, roll the sheet up, and slice into strips. I sliced my pasta into thick strips. 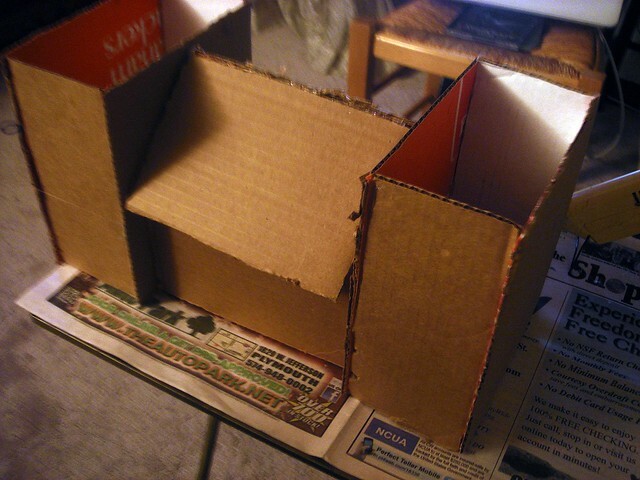 It doesn't look like there's much pasta, but because it is thicker it works out to the same amount as pasta from a box. Unroll the strips and toss with a little extra flour. Since I wasn't making the pasta a day in advance, I laid the strips on a cooling rack and let it stay out overnight to dry. The pasta takes about 5 minutes to cook in boiling, salted water. It's chewy, delicious, and has a great tomato flavor. You could add herbs and it would make it taste even better. The sauce tasted great. It was lighter and not as heavy as a richer sauce, though it still had a pronounced parmesan flavor. It coated the pasta nicely. 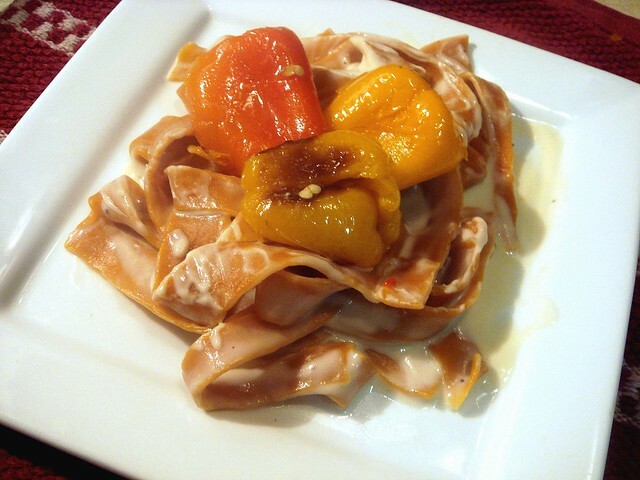 The alfredo sauce contains 60 calories and 5 mg of fat per 1/4 cup serving, and serves seven. For me, though, I used the jar up for 4 servings, but that's fine with me. I'd purchase this again if I found it on sale. Hey guys. Thank you to everyone who entered the giveaway! It's a pretty neat prize, and I wish I had more than one to give away. Fresh Citrus and Ginger, especially after the food pairing. Congratulations, Susan! 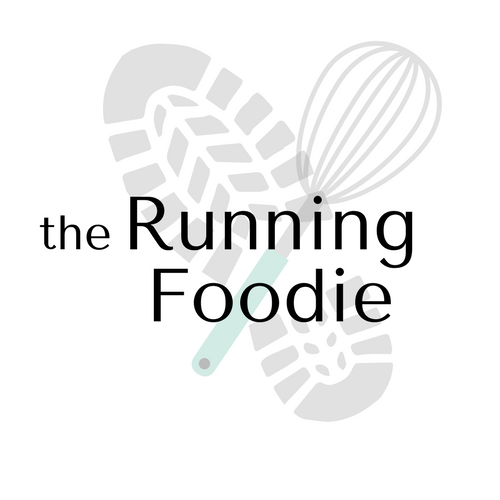 Please email me at christina@runningfoodie.com so I can collect your shipping info. In yesterday's post, I mentioned the recipe I made that incorporated the flavors of the soaps (click here if you need to refresh your memory or enter the giveaway). I chose citrus and ginger since that is the soap I'm currently using, and because I like cooking with both those ingredients. I started by tossing fresh green beans with olive oil, salt, and pepper. Fresh ginger gets grated on top and mixed in, then slices of orange are placed on top of the green beans while it roasts. The ginger isn't overwhelming and the flavors taste pretty good. I was nibbling on them while the fish cooked. As for the fish, I wasn't quite sure how I wanted to prepare it. 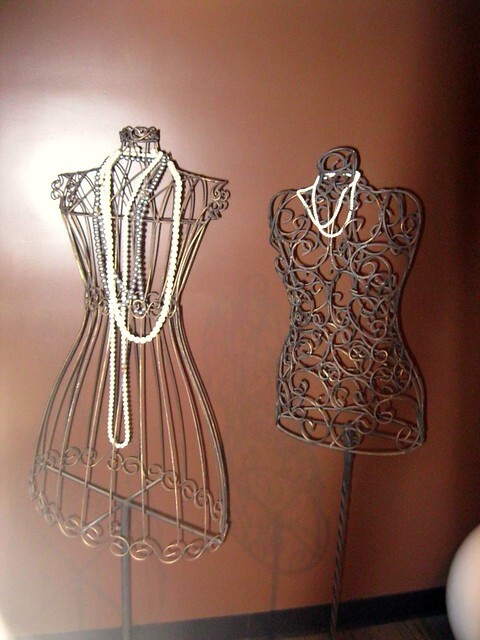 It wasn't until I was getting a coffee at Victorian Pantry that I got an idea. 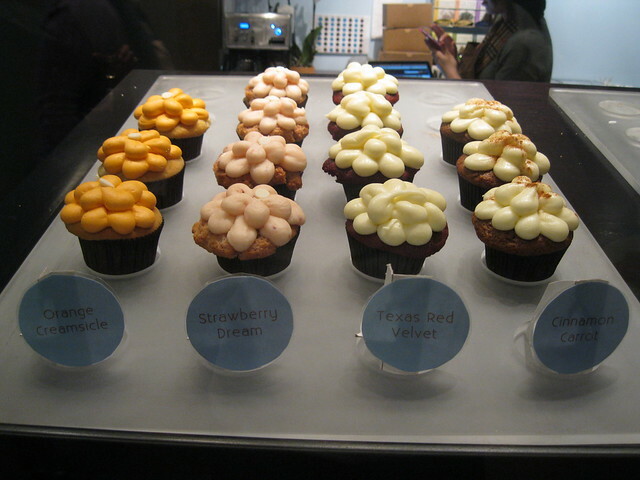 I've mentioned before that Steve, the owner, has started selling specialty blended teas, which I once used in cupcakes. I saw a Tangerine Rooibos this time and figured it would taste pretty good as a seasoning for the fish, and keeping with the citrus theme. Rooibos tea leaves aren't as strong as black tea, so I didn't have to worry about the tea overpowering the taste of the tuna and salmon. Eventually, I settled on blackened fish, a dish I haven't made before. Both tuna and salmon were on sale at the local store. I got some of each since I knew some of my eaters wouldn't feel comfortable eating seared tuna. The salmon was wild, and the tuna was sushi grade yellowfin. So blackened fish. What is it? I looked up some recipes online and I found that it's just a paprika-based seasoning that completely coats both sides of the fish. The fish is then seared in a hot skillet, long enough for each side to develop a crispy coating that looks almost blackened, but isn't. You either finish cooking it in the oven, under the broiler, or in the case of tuna, you don't keep cooking it. My seasoning mix consisted of the tangerine rooibos tea, paprika, oregano, onion and garlic powder, coarse salt, pepper, and a bit of sugar. To prepare the fish, I melted butter in a skillet on low heat. 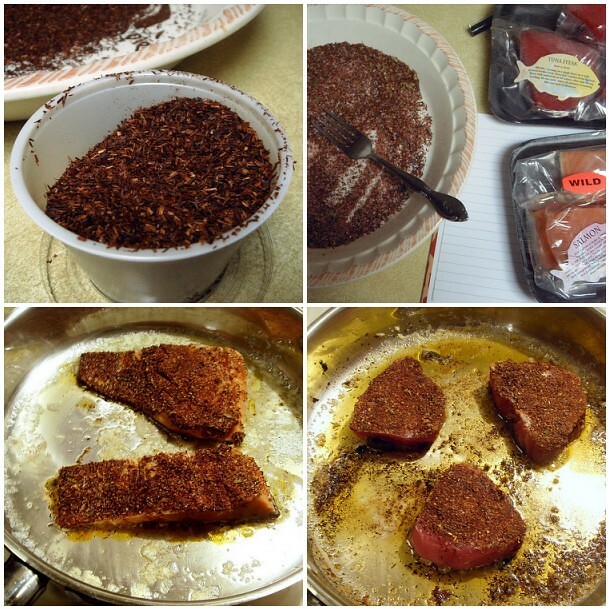 Both sides of the salmon and tuna were dipped into the butter, then into the tea seasoning until completely coated. I seared the salmon on both sides for two minutes, then finished baking it in the oven for about seven minutes. 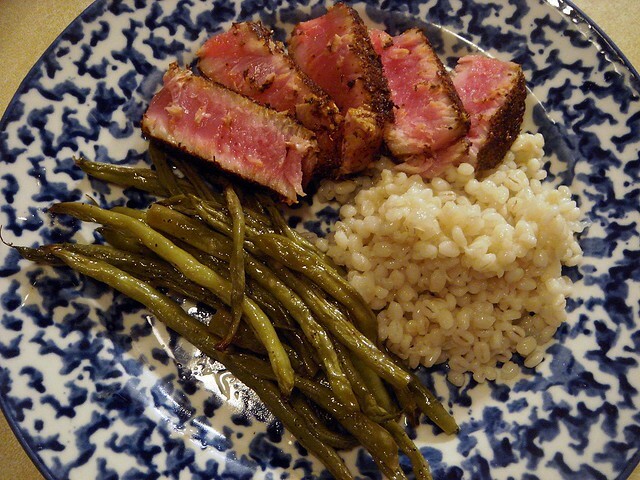 The tuna was given a two minute sear on either side, after which I sliced them up and plated it. Is there a proper way to slice tuna, like cutting steak against the grain? When I sliced the tuna, it either began to fall apart or looked flaky. Perhaps my knife wasn't sharp enough. And that's how it went down. This was my first time eating tuna (aside from sushi), and I decided I liked it. It has a very meaty, rich taste different from other fishes. I like it, I want some more of it, but it's too expensive. The tangerine rooibos coating was incredible. It was faintly floral and citrusy and was a good compliment to the light taste of both the fish. I didn't taste any of the salmon, but I think they liked it. (I hope?) If you made this, you could use any citrus rooibos tea available to you or any citrus-flavored herbal tea you enjoy drinking. In a pie dish, mix together the tea, paprika, oregano, garlic and onion powders, salt, sugar, and pepper. 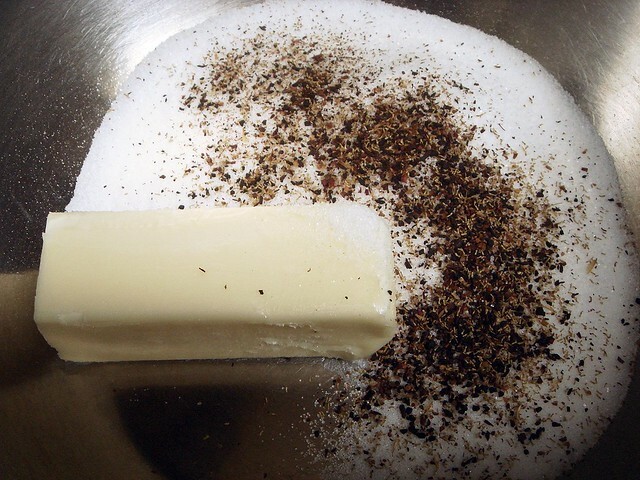 In a large skillet, melt the butter over low heat. Working with one piece of tuna at a time, dip both sides in butter, then in the coating, making sure each side is completely coated. Place on a platter while you prepare the rest of the tuna. Raise the heat to medium high. Add the tuna and sear for 2 minutes. Don't move the pieces or else you won't get a good coating. 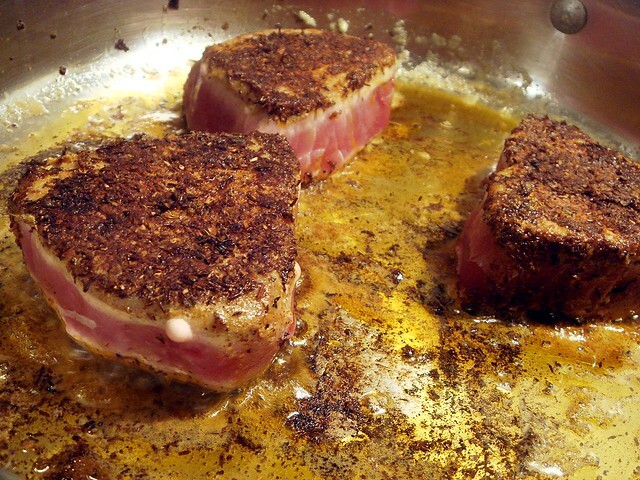 Using a spatula, flip the tuna over and sear for another 2 minutes. The tuna should still be pink in the middle. 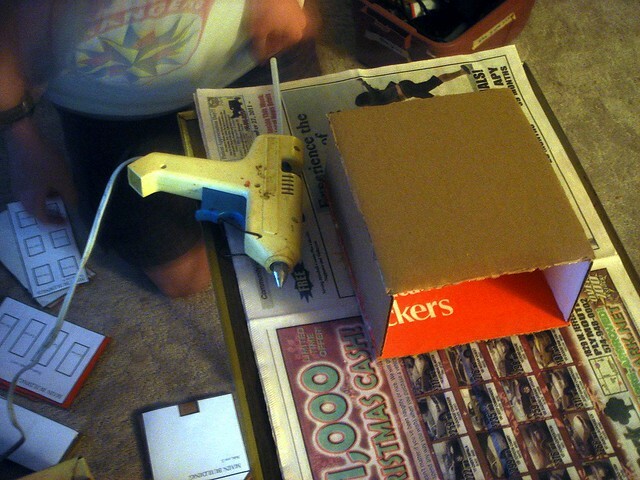 Remove to a cutting board. Slice a piece of tuna and fan it out on the plate. Preheat oven to 400°. 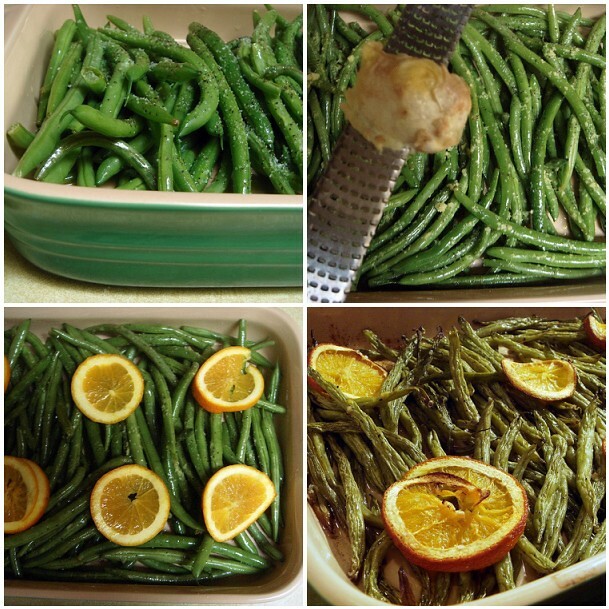 In a 12x9-inch baking dish or a rimmed baking sheet, toss the green beans with olive oil, salt, pepper, and grated ginger. 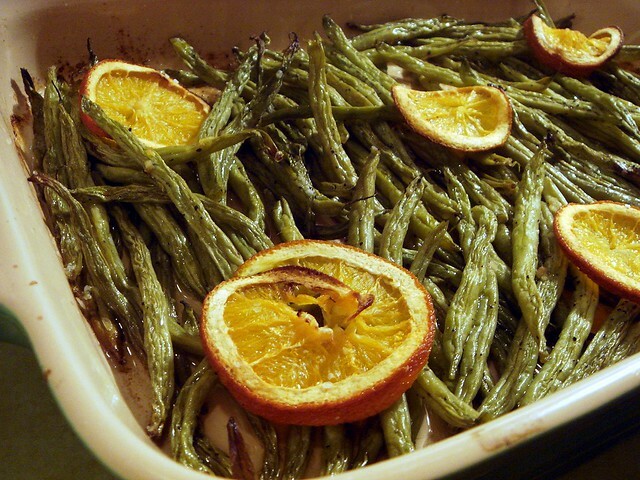 Place the orange slices on top and bake until green beans are tender, about 25 minutes. 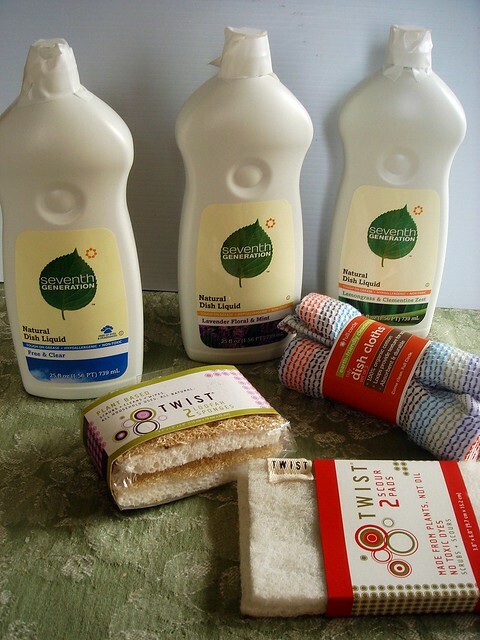 Through MyBlogSpark and Seventh Generation, I was given the opportunity to review their natural, plant-derived dish soaps. 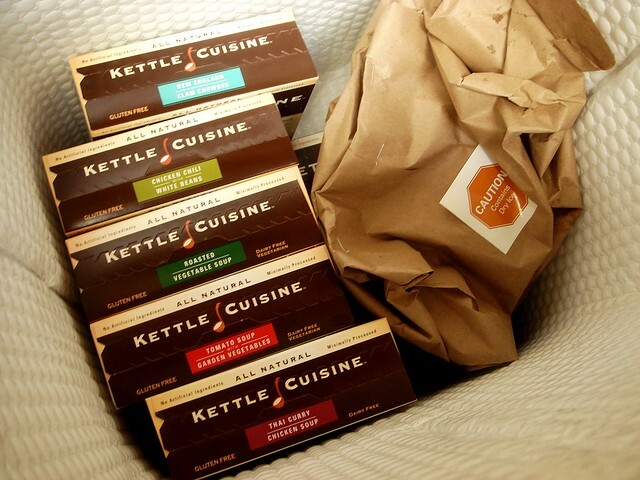 Included in the package were some plant-derived cleaning tools and a Le Creuset stoneware baking dish. I was asked to create a recipe based on the scents of the dish soaps in the baking dish and to clean it using the soaps. I'll talk about what I made in a moment, but first I'm going to review the benefits and potential drawbacks if the soaps. 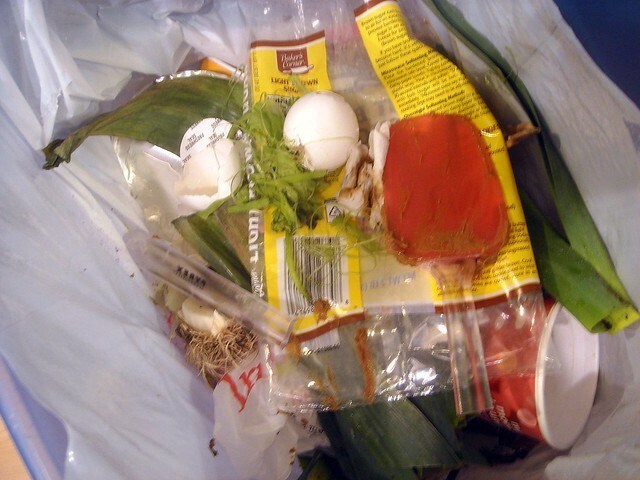 So you want to help the environment in any way you can, right? You might spend a little more, but you walk away knowing that you aren't using petroleum-based dish soap. Everyone's happy and daisies bloom under the sunshine in lush fields of green grass where children happily trot barefoot. But how well do these products really work when compared to their generic, oil-based counterpart? Throughout the week of washing dishes where I replaced my usual soap with 7th Gen, I fully expected the need to use more soap, but I surprisingly found that the suds lasted longer and the soap effectively cut through grease, especially on plastics. 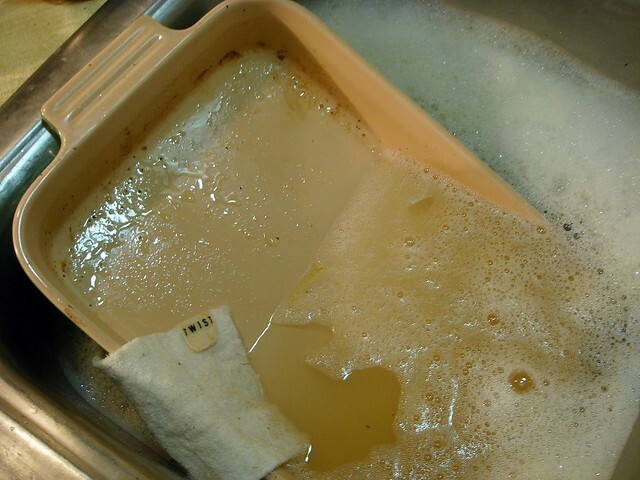 When I have a lot of greasy dishes to wash, I usually have to rewash a few dishes where grease remained, or refill the sink with more hot water and soap. I haven't had to do that yet. It also cuts through the stains on the stove vent hood, toaster oven, and other surfaces where grease stains tend to gather, so it's good for more than just dishes. As for it being cost-effective, starting at $3 and going up, a generic dish soap will probably save you more money in the long run, even if you have to use more of it. But given the envoronmental benefits, you might not mind. The scent is great. I've been using the Fresh Citrus & Ginger, and it has the intoxicating effect of making you excited to wash dishes, so unless you're Anne of Green Gables, no one in their right mind looks forward to it, so the scent is another plus. 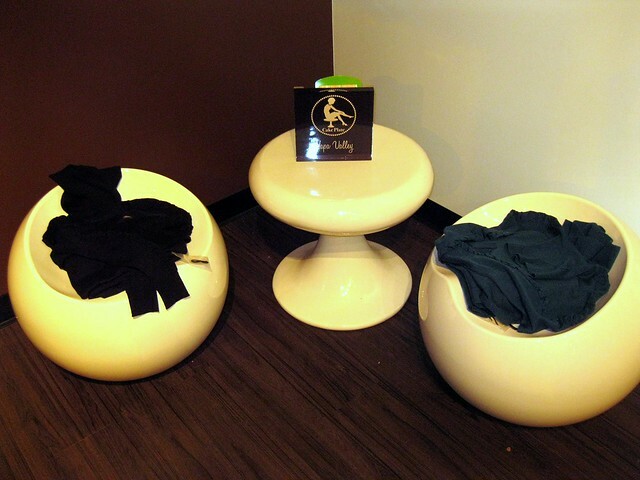 The label says that their scents are derived from whole essential oils and botanical extracts. Seventh Generation is hosting a Nature Makes Perfect Sweepstakes, where you can enter for a chance to win a trip to visit France, Italy, or Vermont where they produce the ingredients for their scents. Which made me think... Seventh Generation is made in the USA and manufactured in Vermont, but a few of their ingredients come from Italy and France? Are Sicilian lemons really better than Californian lemons? If, as they say on their bottles, "every household in the U.S. replaced just one 25 ounce bottle of petroleum-based dish liquid with a 25 ounce bottle of plant-derived dish liquid, we could save 127,000 barrels of oil", are we really just offsetting how much oil it takes to transport out-of-country ingredients to the manufacturing plant? I then analyzed a few of the ingredients on their label more closely, which led my brother to point out that the two final ingredients, benzisothiazolinone and methylisothiazolinone, are both synthetic preservatives commonly used in body care products, washing agents, and varnishes. Both are known to be irritants to skin, eyes, and possibly lungs, as well as being potentially toxic to the human immune system with continued exposure. I've also looked at a few other standard dish soap brands where these ingredients are not used. I'm not saying their synthetic ingredient lists are better over the long run, but they don't claim to be hypo-allergenic and toxic-free. I'm surprised that a company with that platform would use two synthetic preservatives that could be harmful to consumers, even if they use lower percentages of the preservatives. 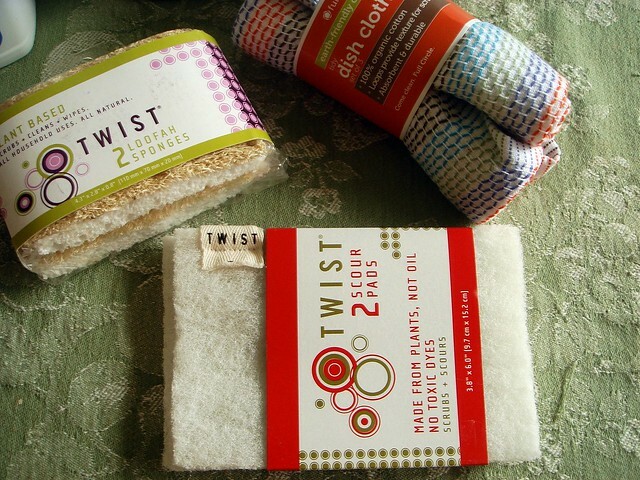 As for the accompanying Twist dish tools, some are plant-derived and free from oil, others use 100% organic cotton and loofah material. So far, I've only used one of the cotton towels and the white scour pads. The scour pad doesn't seem like it's going to hold up as long as other scour pads I use. I like the cotton towel because it's bright, cheery, and works well on dishes that need a simple wipe off, or on hard surfaces. Overall, I enjoyed the soaps and might buy them on my own, but had a few concerns about their claimed environmental benefits. 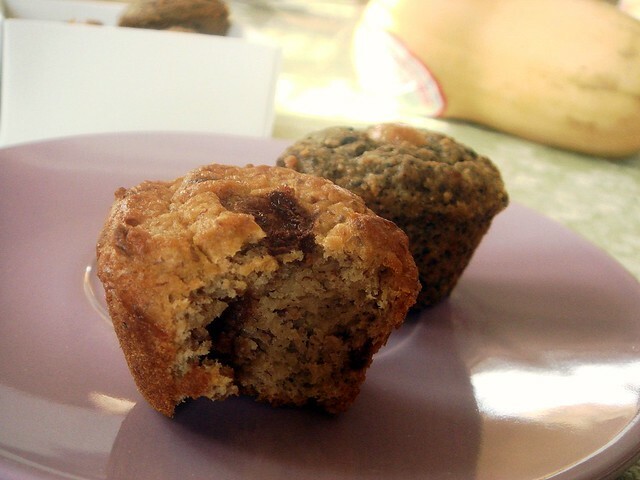 Click through for recipe info and giveaway details. Now, on to dinner. I'm sure you're hungry by now if you've made it this far! Since I really enjoyed the fresh citrus and ginger scent, I incorporated those ingredients into dinner. 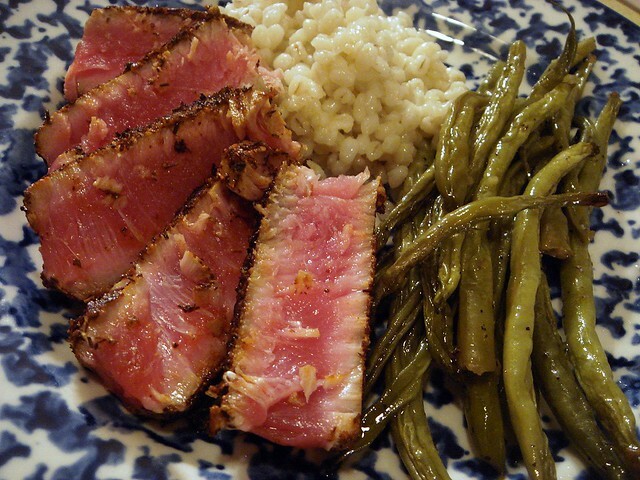 Fresh green beans are roasted with fresh ginger and orange slices and served with blackened and seared tuna. The full recipe post will be up tomorrow since this post is wordy enough as it is. I'm excited about it because I used a tangerine rooibos tea from a local bistro in the tuna rub. Citrus and ginger are two ingredients that really liven up a meal, thanks to their vibrant flavor and aroma. So, how can you cook up a meal in a 12x9-inch Le Creuset stoneware baking dish and clean up after dinner with Seventh Generation Dish Liquid and Twist dish tools? Here's how! "Like" Seventh Generation on Facebook and leave a comment on their wall with a link to this giveaway. Comment here to let me know you did it. Tweet about this giveaway using the following comment: I entered the Seventh Generation dish soaps and Le Creuset baking dish giveaway from @RunningFoodie! Comment again to let me know. Three chances to win! Please include your email address in the first comment if I won't be able to contact you myself. Giveaway is open to US residents only. Winner will be chosen on Friday. It wasn't my intention to make cake balls. 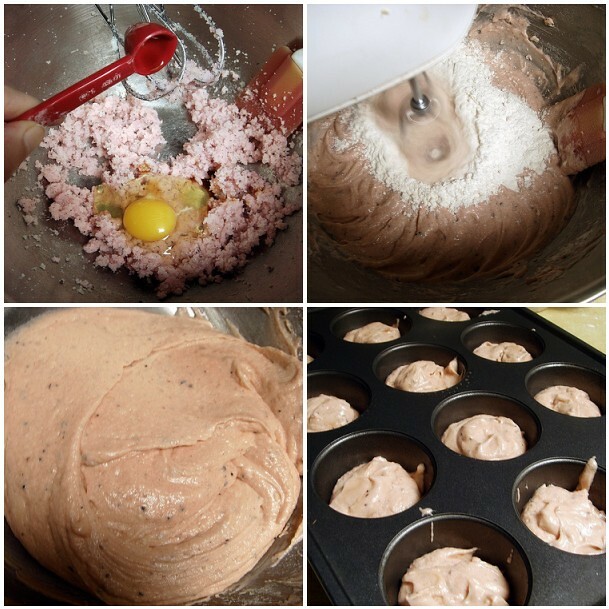 I made them once before for New Year's Eve, mixed in too much frosting with the cake, and ended up with something that disgusted me. 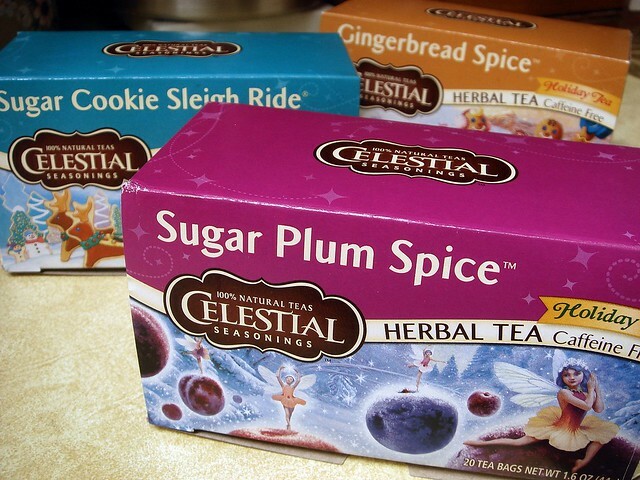 Initially, I planned on making cupcakes flavored with Celestial Seasonings' Sugar Plum Spice tea. Every year, mid-November, their holiday teas reach the shelves of the grocery store. I really like all their flavorings, like Gingerbread Spice, Nutcracker Sweet, and Candy Cane Lane, a peppermint green tea. 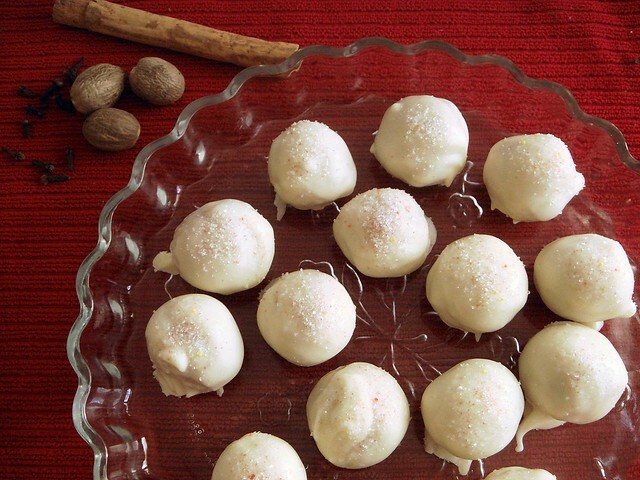 I haven't tried Sugar Cookie Sleigh Ride yet, so I can't say what it's like. But my favorite of them all is Sugar Plum Spice. It's spicy with a floral note and perfect to sip when the weather outside is frightful. While drinking a cup, I thought back to previous cakes I made with tea and figured Sugar Plum Spice would make for a delicious cupcake flavor. I have my favorite go-to cupcake recipes, though today I mixed it up and used the Amy Sedaris Vanilla Cupcake recipe,, but halved the original recipe (the link I gave shows the original cupcake recipe scaled in half). I figured that although I hadn't tried it before, I'm sure it would work out well. It looked like a basic recipe. To begin, I scalded milk and steeped two tea bags in it. After five minutes, I removed the bags and let the milk cool to room temperature. I also cut open a tea bag and added the leaves to the butter and sugar. I found this adds even more flavor to the cake and you don't notice the tea leaves when you eat it. When you make a pot of Sugar Plum Spice tea, the tea has a reddish plum color. That wasn't going to work with the cupcake batter because the steeped milk was a little gray, so I added a tiny bit of Wilton food gel coloring to the butter and sugar. After those two little additions, the recipe proceeds like standard cake recipes. 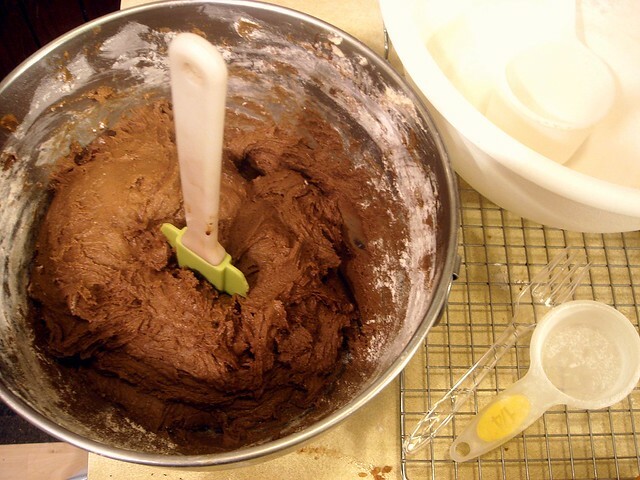 The eggs and vanilla are added to the creamed butter and sugar followed by the flour, in three additions, and the milk in between the flour. I always give cake batters one final stir with the spatula. 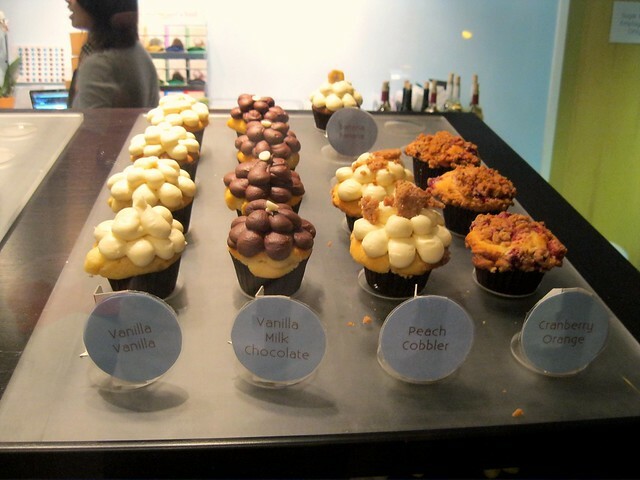 I noticed that there didn't seem to be much batter and I was worried the cupcakes weren't going to look very impressive. 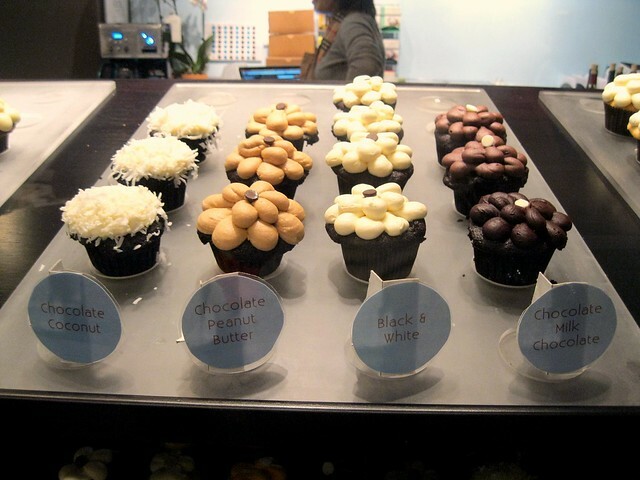 I like tall, domed cupcakes, not small squatty cakes. There wasn't enough batter to fill the cups up 2/3rds of the way, which technically is what you want. Personally, I always fill them up a little higher when I make cupcakes but there wasn't anywhere near enough to do that this time. 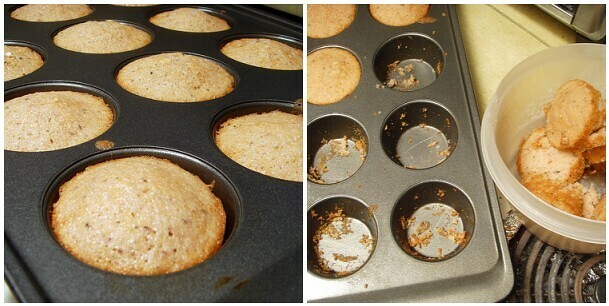 As I expected, the cupcakes didn't really rise much higher than the top of the tin. I also failed to grease the tin properly and almost all of the cupcakes tore as I prodded them out with a butter knife. Failure. Fortunately, they at least tasted flavorful and buttery, with a delicate crumb that melted in your mouth. 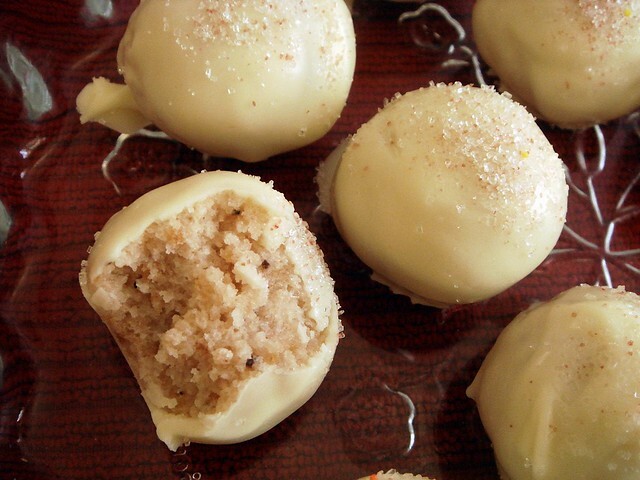 I didn't really know what to do with the cupcakes until I decided to turn them into cake balls. 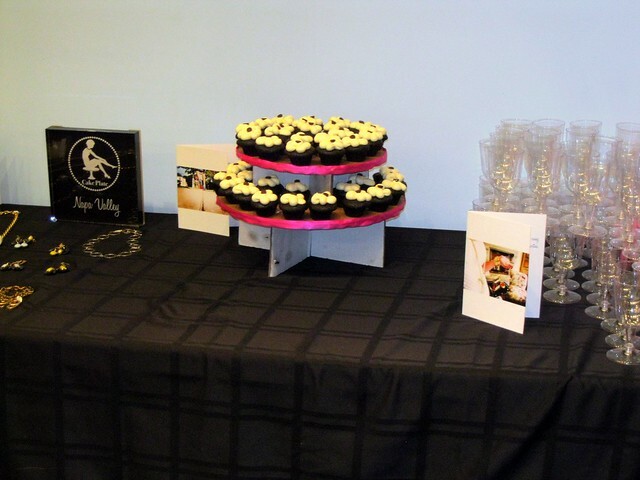 Thinking back on my last cake ball venture didn't leave me with fond memories. Because I didn't want to waste perfectly good tasting cake, so I proceeded with the idea, making a quick batch of buttercream. I may have made a bit too much because the mixture was kind of tacky after combining the buttercream with the crumbled cake. I stuck it in the fridge overnight and hoped it would be edible. 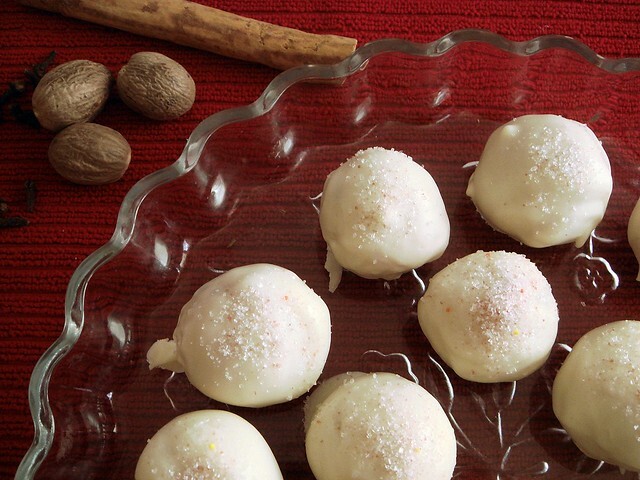 The next day, I melted two cups of white chocolate chips over a double boiler with shortening. 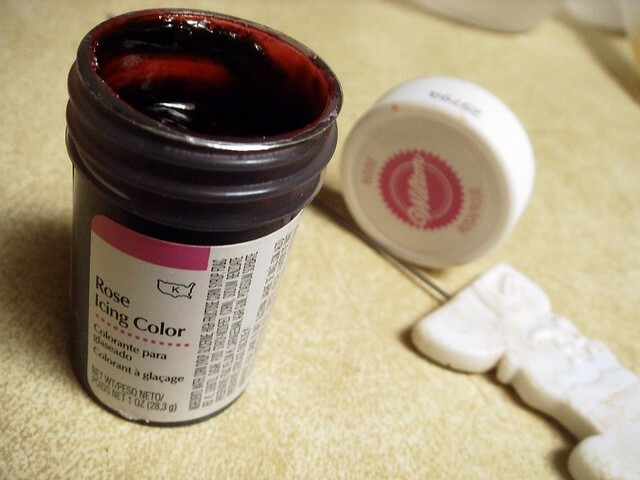 Shortening helps create a smooth consistency that makes it much easier to coat the balls. I don't know how much I used, but it was probably close to 1/3 of a cup until I got the consistency I wanted. It easily flowed from a spoon and wouldn't result in a gloppy mess. I would use Wilton Candy Melts or bar chocolate next time since they melt more easily than chips, which are made to keep their shape. Chips can be used and I often use them because that's what I usually have in the pantry, but it takes longer. 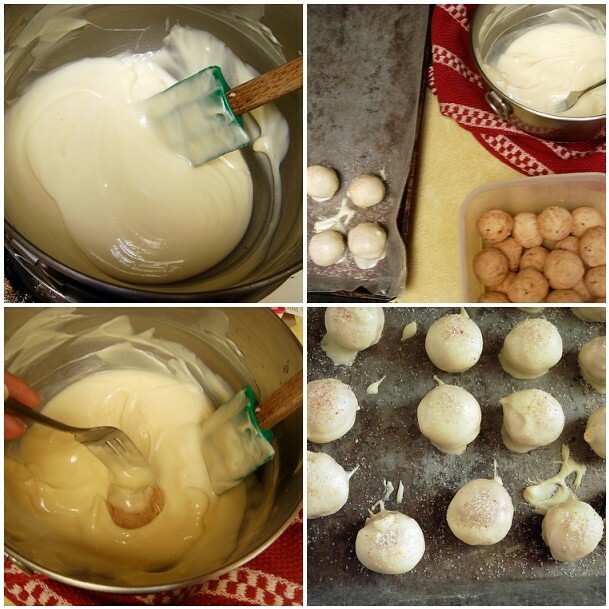 The process went quickly and the cake balls were firm enough to be rolled in the chocolate without melting. I think I was a little sloppy when I transferred them to the wax paper-lined baking sheet, though, because mini disks of chocolate spread out underneath. 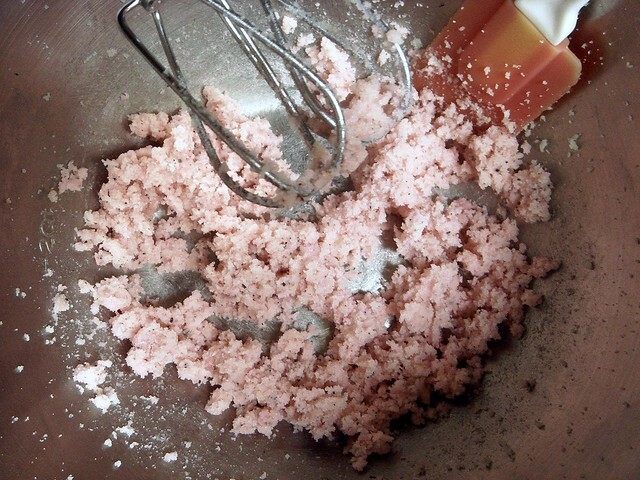 The tops of the balls were sprinkled with coarse sanding sugar mixed with raspberry jello powder to make a subtle pink sugar. They looked pretty and festive. They tasted really good, too. 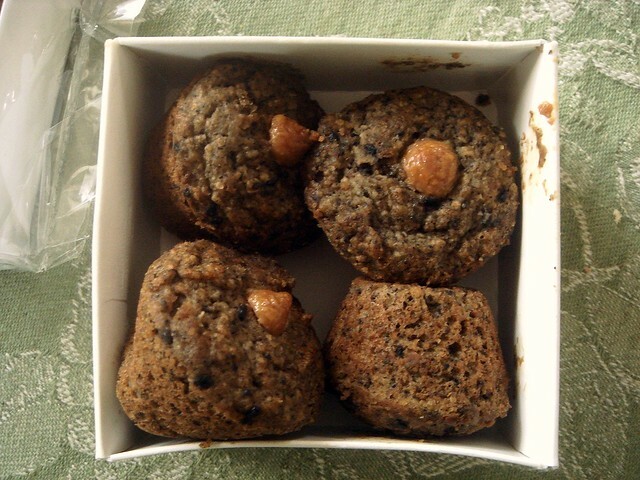 The spiciness was dulled a little by the frosting (which I didn't flavor with more tea for whatever reason), though they still were good and the tea flavor did come through. The white chocolate coating wasn't overpowering, either. All in all, success!